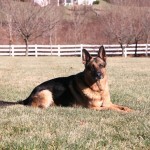 Jager is a powerfully built, very athletic black and red male. He posses extremely high drive and great working ability. 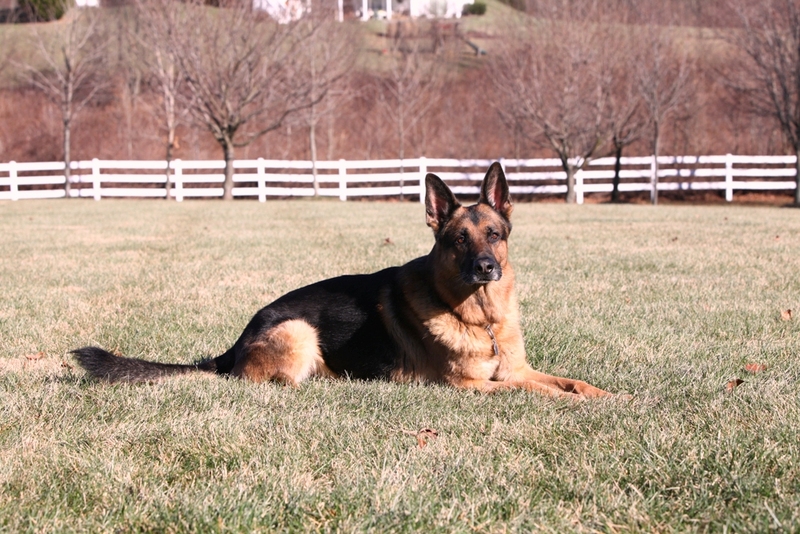 He excels at the canine sport of Schutzhund, earning his Schutzhund III title. Jager moves with a flowing gait, covering the ground in powerful strides that displays all the strength and nobility of this exceptional dog. His temperament toward people and children is outstanding. His loyalty, devotion, and protective qualities make him an excellent family companion. All in all, Jager is the most faithful and loving dog you could ever wish for.